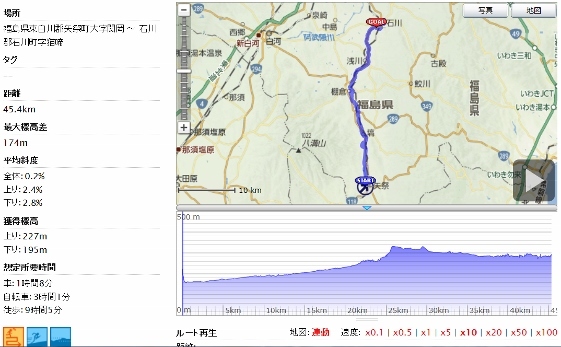 Today, I left Yamatsuri Town and went towards north on the Kujigawa Cycling Road. 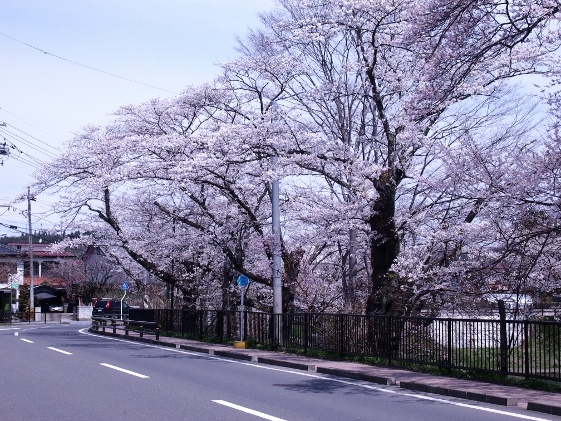 I stopped at Tanakura Town and finally arrived at Ishikawa Town. 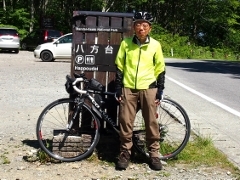 There was Kujigawa Cycling Road owned by Fukushima Pref. 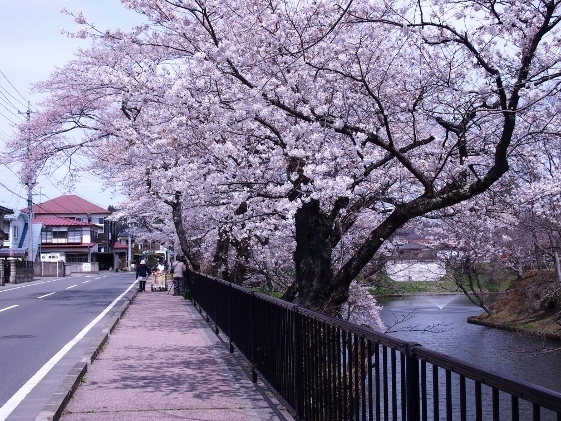 from Yamatsuri Town through Tanakura Town via Hanawa Town along the Kuji River. 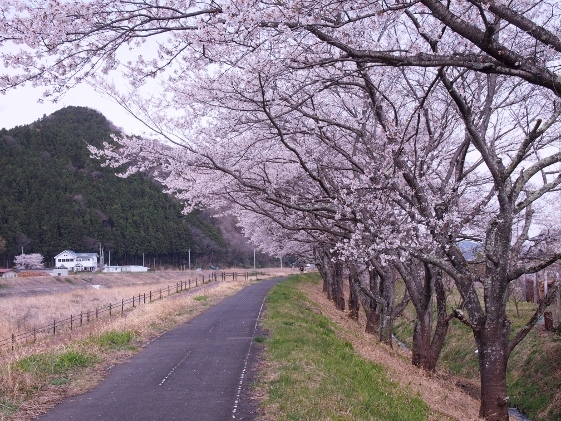 Above pictures show cherry tree lines on the road along Hanawa Town. 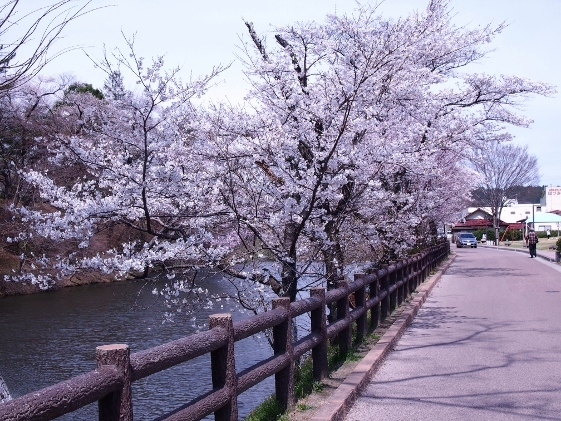 They were also in full bloom. 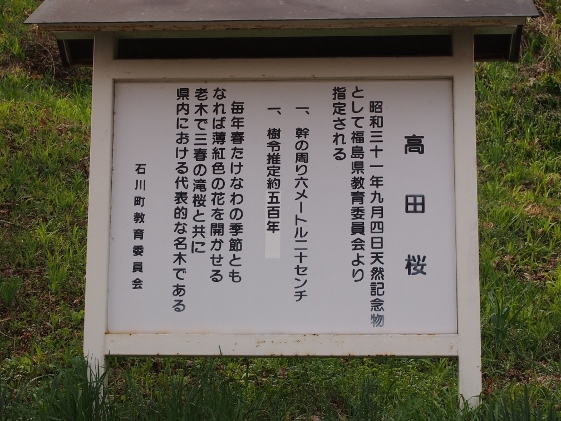 There was the Tanakura Castle Site which was also called Kamegajo Park just ahead of the terminal of the Cycling Road. 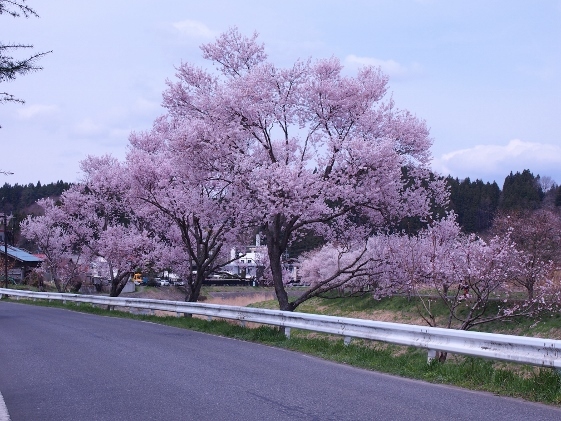 Many cherry trees there were also in full bloom as shown in the pictures above. A local old woman said that today was the best. 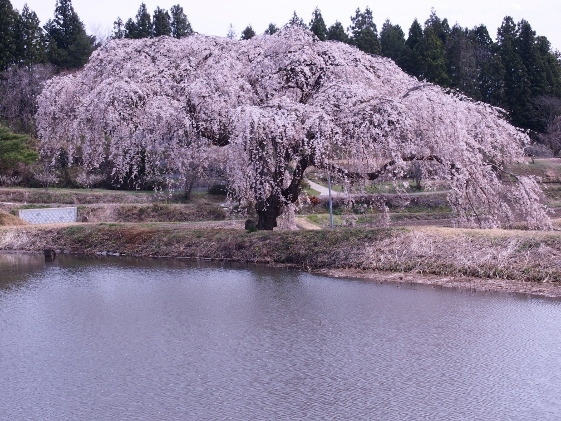 Shortly ahead of the Tanakura Castle Site there was a famous cherry tree which was called "weeping cherry tree of Hanazono" among the local people. 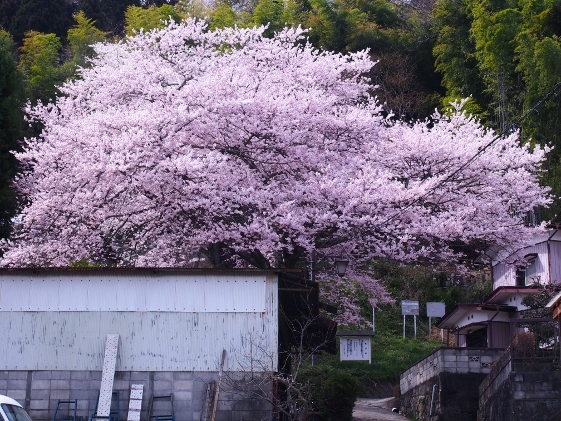 This also was in full bloom as shown in the picture above. 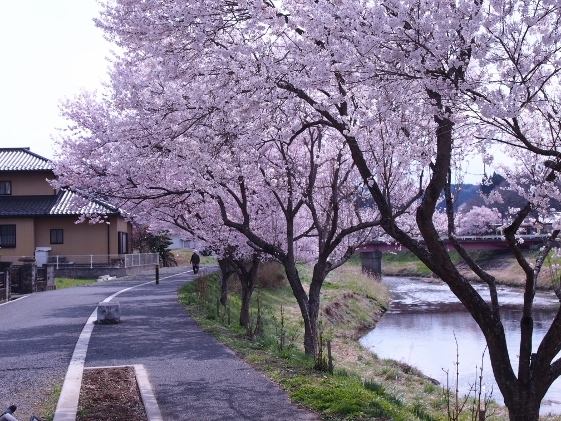 Arriving at Ishikawa Town, I found many cherry trees nearly in full bloom along the Imade River as shown in the pictures above. 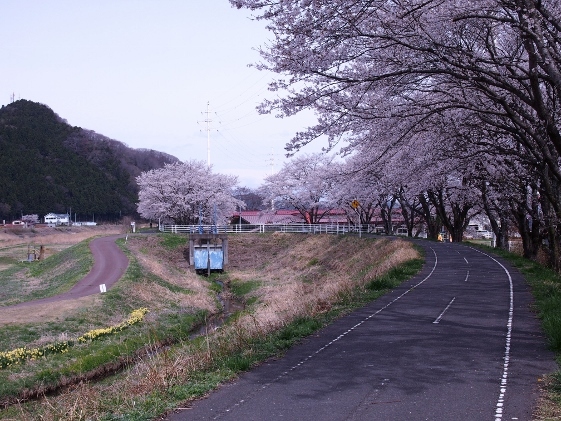 Ishikawa Town Office had been giving high priority to developing green environment with many cherry trees. 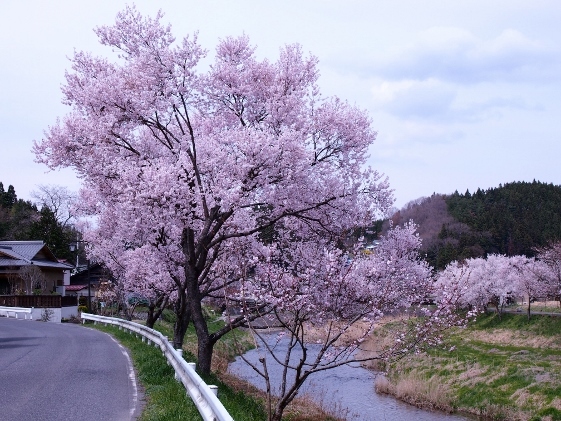 Furthermore, Ishikawa Town had a famous cherry tree called "Cherry Tree of Takada". 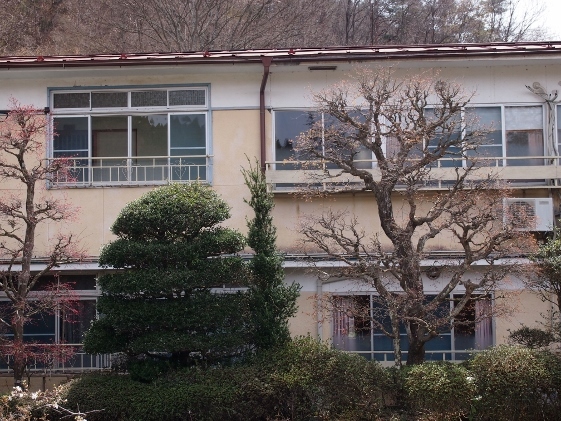 Pictures of the sign board and the cherry tree are shown above. 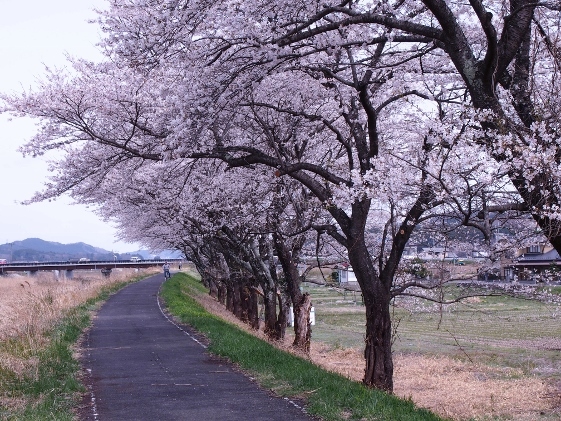 This cherry tree had a very nice fragrance of cherry blossoms. Tonight I stayed at Nishidaya Inn of Nekonaki Onsen located in Ishikawa Town along the Imade River.